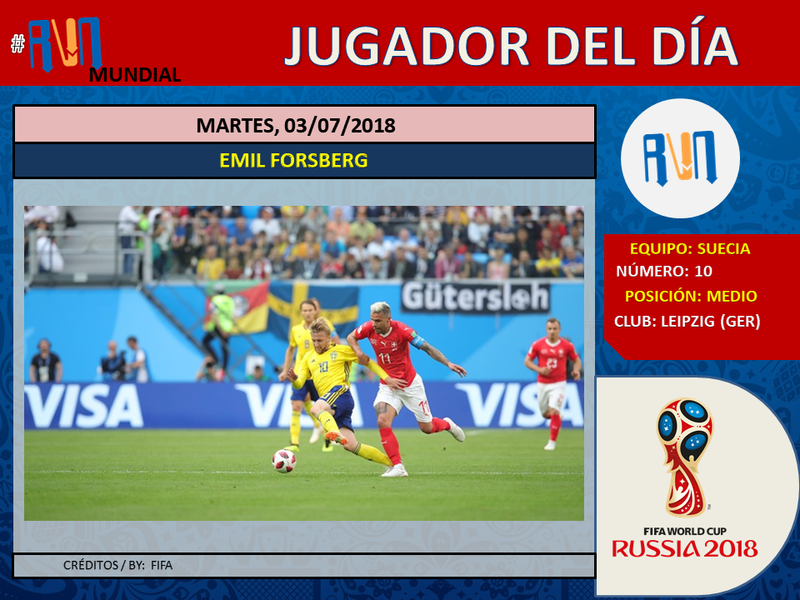 Autor del gol que dio avance a Suecia, hicieron a Emil Forsberg jugador del día. One goal today gave ticket to Round of 8 for Sweden against Switzerland. Player of The Match and Day Emil Forsberg.